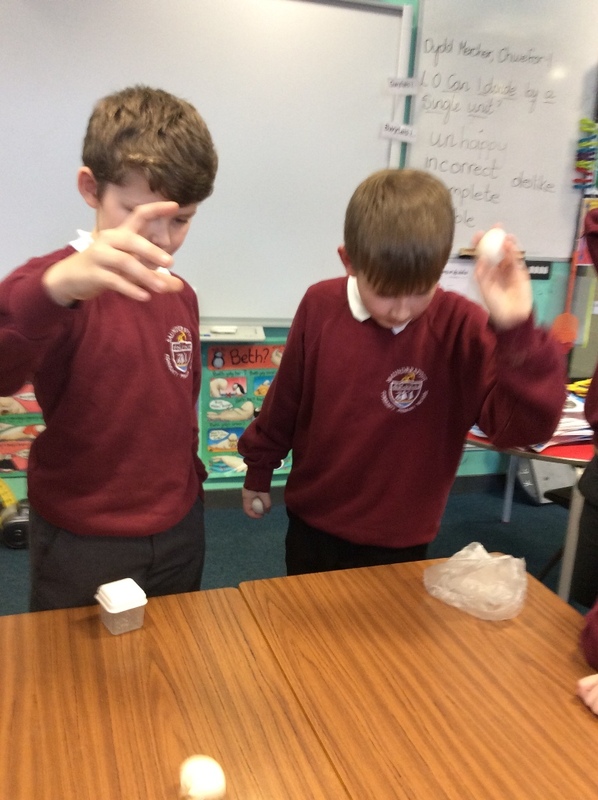 Year 4 – Can a boiled egg bounce like a rubber ball? Following on from a programme pupils watched on Newsround, Mrs. Cook was asked by her class if they could change the format of their homework activities. A list was made of “alternative practical activities” that pupils would like to complete, every third week. These ranged from baking cakes to visiting a place in Pembrokeshire they had need been to before! Mr. Allan agreed that this new initiative could go ahead and 4C drew up their list! The first chosen activity was a Science experiment! Pupils were challenged to find out if they could create a “magic invisible ink” and get a boiled egg to bounce like a rubber ball! Everyone agreed that this was a fun new homework challenge and it was definitely Evan’s egg that we were most impressed with! Egg-cellent!